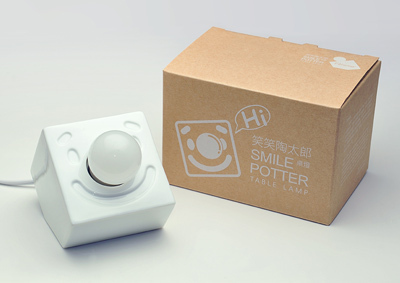 Smile Potter was made of ceramic material is derivative work of smile woodman. The lamp substitutes for wooden nose just like Rudolph's nose whose shiny nose gives direction and passes through the foggy night. We wish Smile Potter play the same character as Rudolph. It will always be with you and smile, bring some brightness and warmness to the corner in your heart. This socket is suitable for E27 bulb. Suggest to use LED bulb. Don't touch bulb. It might cause burns by heat.